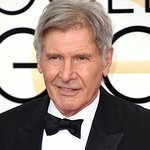 Harrison Ford has written an opinion piece for CNN saying that we must act decisively to save our world. “This week, I have had the opportunity to meet with ministers and country delegates from around the world who have gathered in Nagoya, Japan, to set a global conservation action plan for the next ten years,” says the actor and vice president of Conservation International. "This is a critical moment in time for environmental ministers gathered here to work together to set bold, ambitious targets to protect nature and the services it provides. Decisions made here will not only impact our planet’s environmental health, but every person, family, and nation that depend on nature to survive and thrive. “Biodiversity is the foundation of all life on Earth. Human societies cannot provide for themselves the essential services provided by nature and healthy ecosystems. Among them: A stable climate, clean air, fresh water, insect populations that pollinate our food crops, healthy soils, and sources of pharmaceuticals for human health. “However, biodiversity loss and ecosystem destruction pose a global challenge of unprecedented proportions. The current rate of species extinction is 1,000 times the expected natural rate. “NATURE doesn’t need people. PEOPLE need nature. To read the full story, visit CNN.com.